Karlie Kloss and Joan Smalls are possibly the hottest models out there at the moment. 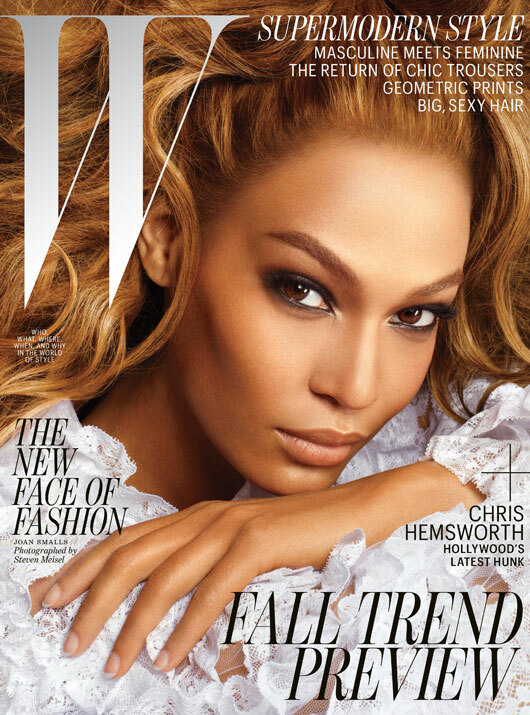 What better way to prove it than gracing the cover of W magazine for the July issue. Styled by Edward Enninful and shot by Steven Meisel, each of the girls looks incredible on their version of the cover. You all know Karlie Kloss is one of my favourites. All razor sharp cheekbones, feline eyes and glowing skin, she looks gorgeous. I definitely need a pair of metallic-toe brogues for A/W a la Kloss. What do you think of Joan and Karlie? "Want it on Wednesday: Mulberry Blurry Bloom High-Top Sneakers"
"I Want to be a Belstaff Boy…"